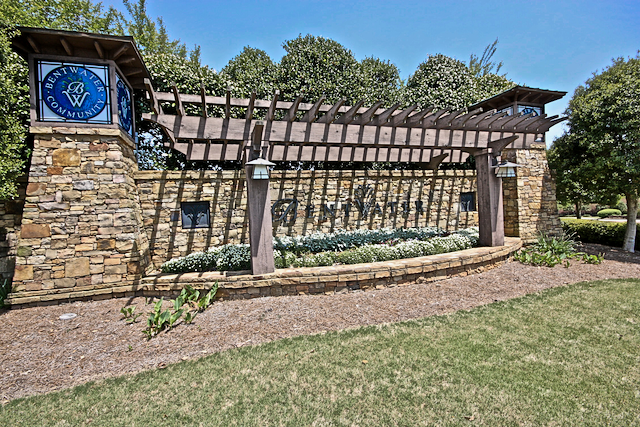 Bentwater subdivision in Acworth GA is well known established neighborhood in North Paulding County near Dallas GA. Homes for Sale in Bentwater have a price range that accommodates almost every budget and quality homes this subdivision that has won several awards. Bentwater is a mega community (over 2600+ homes built) with all the amenities and shopping literally right outside your front door and neighborhood entrance. Bentwater even has it's own quaint shopping center along with a gas station for convenience. Bentwater Amenities: The Bentwater country club includes an 18-hole championship golf course (With open fairways and challenging landscapes, the Bentwater Golf club will satisfy all levels of golfers! ), Junior Olympic swimming pools & water slides, multiple playgrounds, Nature trails, Volleyball, Several tennis and basketball courts. Active lifestyles are welcome in Bentwater! With nearby Grill and Tavern, Individual sections within Bentwater, social activities and events. Bridge Club, Cedarcrest Community Service Club, 50+ Club, Red Hot Tamales, Business Networking, Working Moms, even Men's flag football. To request floorplans for new homes for sale in Bentwater email us at floorplans@teamleehomes.com or simply fill out the form below. Search all new homes are currently being built in the Winding Creek at Bentwater by KM homes. If you are looking for a new home for sale in Bentwater or a lot to build it on, we have your covered.